Are you bored in the city? Lets go to neighbourhood and explore something new. 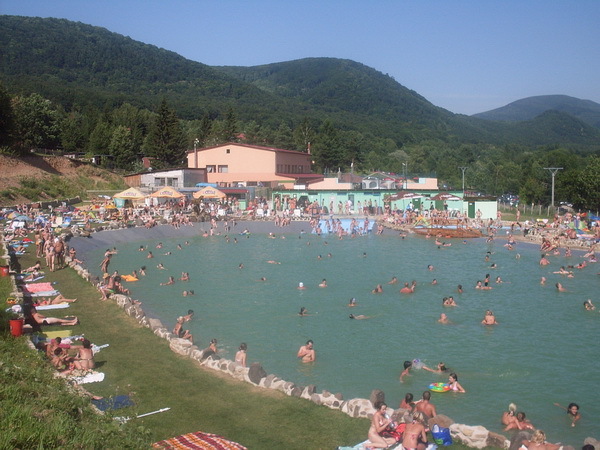 "Kvašná voda" means sour water and it is a mineral spring in municipal forest of Prešov. It is a favourite locality for families with place for barbecue. You can use a bus nr. 18 from the city center (Hlavná ulica) in direction Bzenov. After 12 minutes get off at "Kvašná voda" bus stop. Then you need to walk around 1,6 km uphill to reach the mineral spring. Former city spa and retirement house today. Take a bus nr. 18 from the city center (Hlavná ulica) in direction Bzenov. After 17 minutes get off at bus stop Cemjata. There are four official footpaths directly in wonderful forest which you can use so with bike in summer as with cross-country ski in winter. 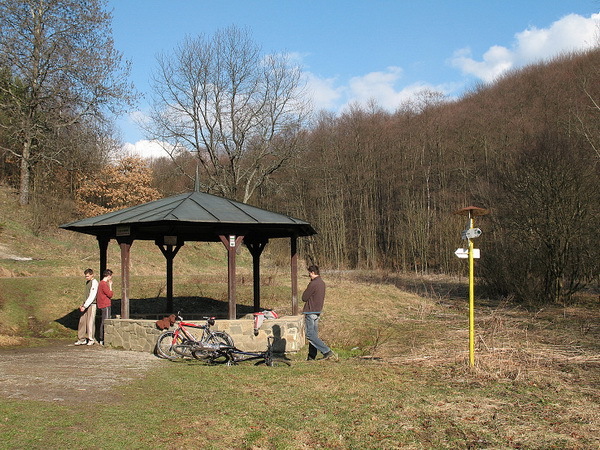 Popular recreational area in the municipal forest. There are several mineral springs and spacious area for playing a football or other games with your children. Take a bus number 24 from the city center (Hlavná ulica) and after 13 minutes get off at the terminal station "Haniska". Don´t forget to buy a bus ticket for the 2nd zone. You can reach Haniska on foot as well, just follow the downstream of Torysa river or use a narrow street "Pod Wilecovou Hôrkou", which starts at the end of Budovateľská street (terminal station of the bus/trolley bus number 5 and 7). The castle lies upon the village Ruská Nová Ves, where you can arrive with bus nr. 46 from Prešov. This castle had many legends, it was built to defend the salt mines and from the three Prešov´s castles, this one is the oldest. There were neverending fights for this castle because it had perfect strategic position. It´s not in such good conditions as Šariš or Kapušany castle, but still it belongs to one of the most favourite trip tips. After 30 minutes walk in the forrest you´ll come to one of the most beautiful views in the surroundings. You have to be very careful, because the castle was built just on the edge of the hill which ends steeply approximately 200 metres above the gound. Steep rock is used by the mountaineers as a training wall. The castle is one of the oldest castles and biggest in Slovakia. It was permanently settled from the Neolithic to the 4th century AD, then from the 10th to the 12th century and finally a new castle was built in the 13th century. 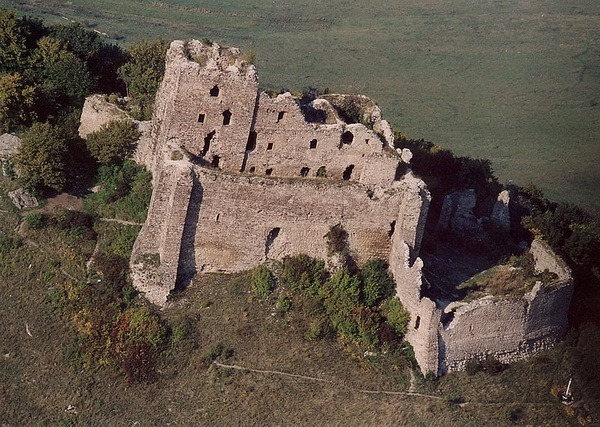 It was rebuilt several times, from wooden fortification to huge castle. His power grew even more after the Tatar invasion in the 17. century. It became a perfect military fortress with 14 bastions for 200 soldiers. It often changed the owners. At the end of the 17. century, Polish king Ján Sobieski burnt it and since then it´d become desolated. But his ruins are impressive even today, they are freely opened for public. From the top of the hill about 520 metres above sea level, you can see the nearest two castles - Kapušanský and Zbojnícky. That's how the three castles could communicate with each other in the past. 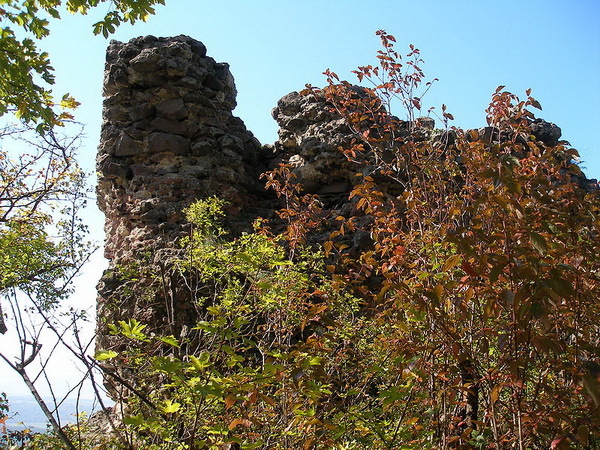 Clearly visible castle on the hill upon the village Kapušany from the main road leading in Vranov/Bardejov direction. Originaly it served as a defence seat of the borders in the 13th century, lately in the 15th century it was used as a military prison. The commander of Rákoczi´s army let it exploded and since then it was not used. Although original owners rebuilt it, in the 18th century it was demolished. Nevertheless, the ruins are in good state, including the entrance area, gates and bastion. You can get there following the touristic route. Sigord is a well-known holiday resort, with a man-made lake that is popular with Prešov residents. It was used for swimming, sailing, water sports and fishing - the fish were dumped into the lake from other locations. Sigord is also the setting of Festival Sigord, one of the most prestigious open-air music festivals in Slovakia. It features acoustic music, like folk, country, bluegrass and world music (held in July). In the picture you can see a new area with new pool which was open in 2010. Šimonka (1092 meters above see level) is the highest peak of Slanské hills. The top of the peak offers a beautiful panoramic views to surrounding hills. When visibility is good, you can see also the High Tatras and Kráľová hoľa (Low Tatras). First you need to arrive to village Zlatá Baňa and then after approximately 3,5 hours hiking you will reach the top. You will use the green path (1,5 hour) and then turn left to the yellow path. 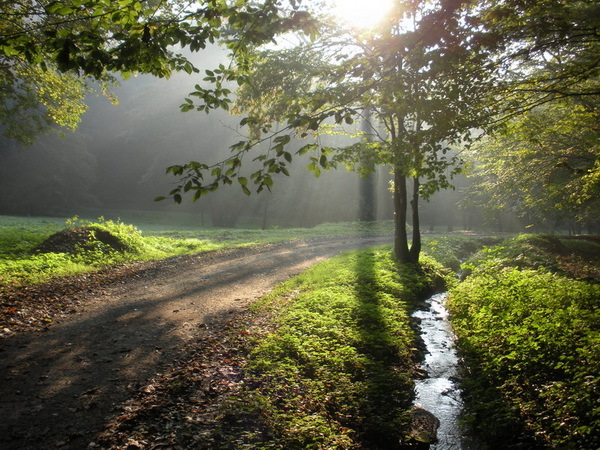 The ranch is at the end of village Pavlovce. Here you can hire a horse for individual ride or if you don´t have many experiences you can first learn how to ride. In the summer time you can visit a summer swimming pool in the center of village. At the end of your trip you can visit an unconventional restaurant in airplane just in the next village Podlipníky on the main road 18 direction to Vranov nad Topľou. The first mining of opals started in the 11th century. Dubník is the oldest, the largest and the deepest opal mine in Europe. In the 18th century there were about 800 workers and they built over thirty galleries with a total length of over 22 km by hand. One of the Dubník rarities is the Vienna Imperial Opal also known as a "Harlekyn" which is the biggest opal in the world with a weight of 594 grams. Even British Queen Elisabeth II. has one of the Dubník´s opals in her crown. Mining in Dubník stopped in 1922. Some tunnels are open for tourists. The most courageous visitors can have a look under the water in the flowned part of the mine Viliam. After your visit try to find some small opal pieces around the mines! The only cave in the Prešov region open to the public is Zlá diera cave (the Bad Hole cave) near Lipovce village. Visitors experience a unique descent to the mysterious depths of this cave. Accompanied with a guide, they are equipped with protective helmets and traditional cavern carbide lamps as the cave has no electricity. Basic Route lasts about 40 minutes. The difficulty of the route is easy. Available also for children or older people. We recommend trekking shoes and warm clothes (the average temperature in the cave is 7 degrees Celsius).